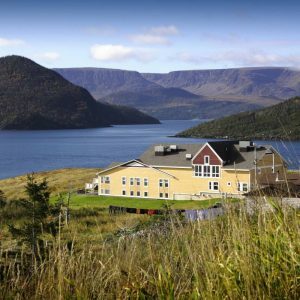 Sugar Hill Inn is in the beautiful location of Gros Morne National Park, A World Heritage Site. 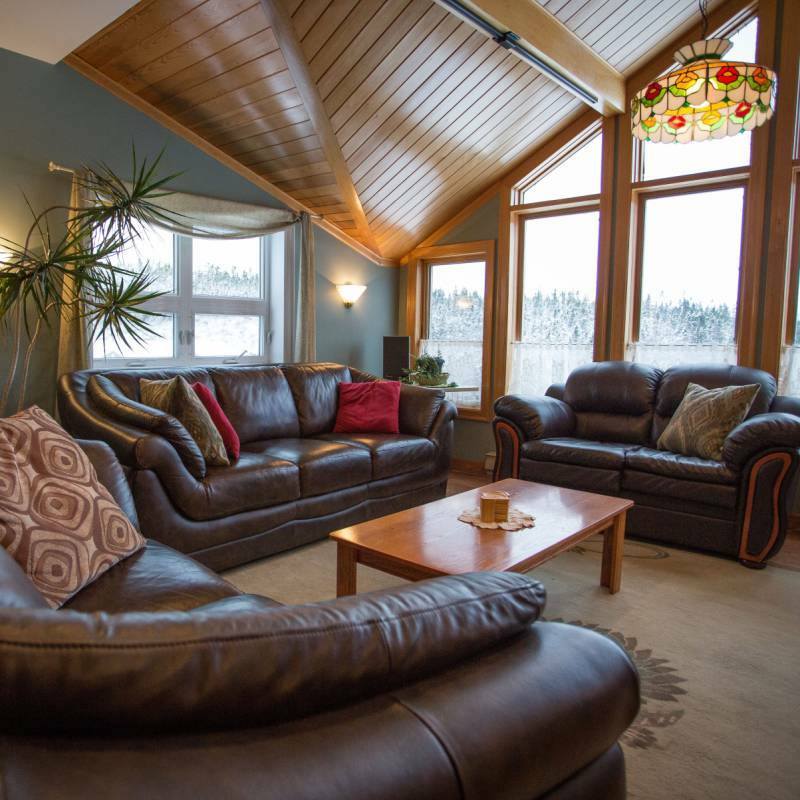 Located on a hillside over the town of Norris Point, the Inn is close to many attractions and features spacious suites, many with private entrances. Nestled in the trees, Sugar Hill Inn is a stunning building showcasing beautiful woodwork and the finest of furnishings. 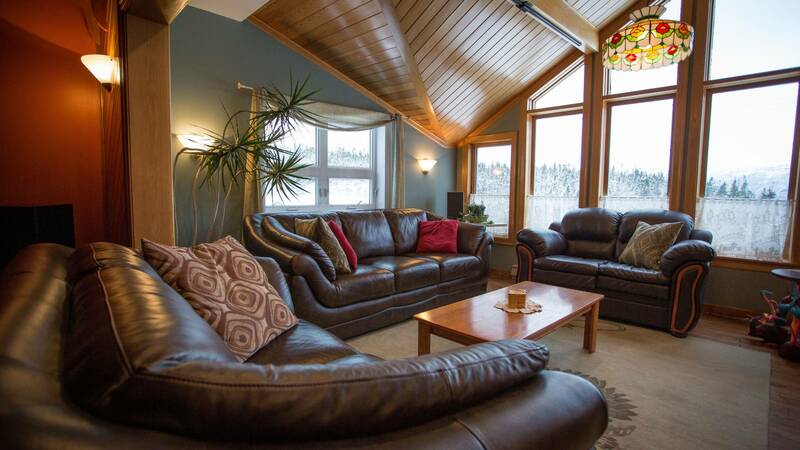 Sugar Hill Inn combines quality accommodations, fine dining, an excellent wine selection and warm hospitality. Queen Suite – has a sleeping area with one queen bed and a sitting area, not always in separate rooms. 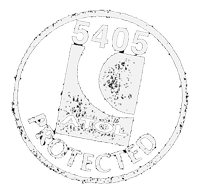 Standard upgrade rooms – feature either one king or two double beds and are larger. 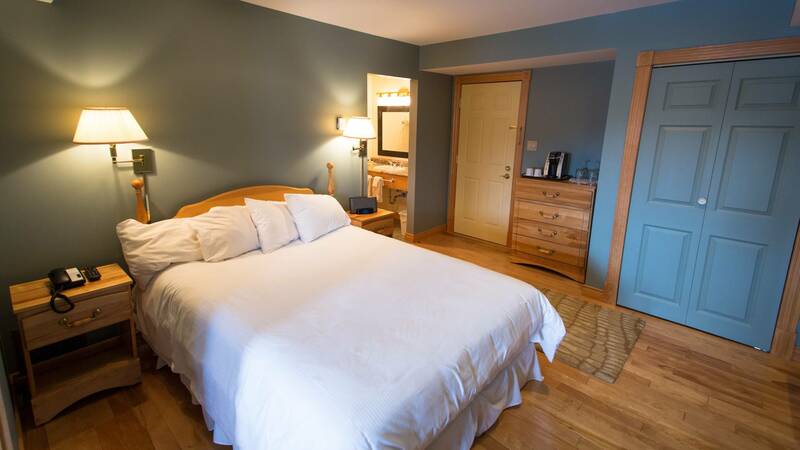 An inn that while luxurious, sits comfortably in its gorgeous National Park environment is enough to love Sugar Hill Inn in itself, but that it also offers fine dining and the freshest local seafood is the icing on the cake.